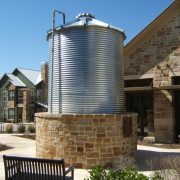 Some of the oldest systems of rainwater harvesting have been completed using brick, concrete, and forms of stucco. 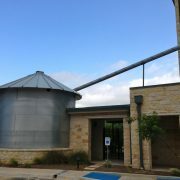 Today, many of these systems are still in use, and some have even been replicated using modern techniques, such as, a brick or concrete cistern that is lined with a flexible liner. While others, may look exactly like an old cistern, the system has all of the modern technologies for filtration, dual usage, and even elevated systems using UV systems. 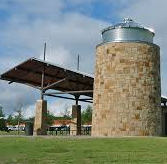 A very common method used is the galvanized-corrugated steel tank or poly tank inside as the skeleton and the outside with brick, concrete, stucco, or some sort of stone and masonry material. Water is taken from the environment for industrial uses like cooling towers, commercial applications like irrigation, and human use like washing clothes, and our lifestyles are continually changing which is impacting more need for water conservation today. We need to plan carefully for the future to ensure reliable water supplies are available for everyone and also protect the natural environment. Reducing the volume of mains water supplied means less water is taken from lakes, rivers and aquifers and more is left to benefit ecosystems and help sustain the water environment. 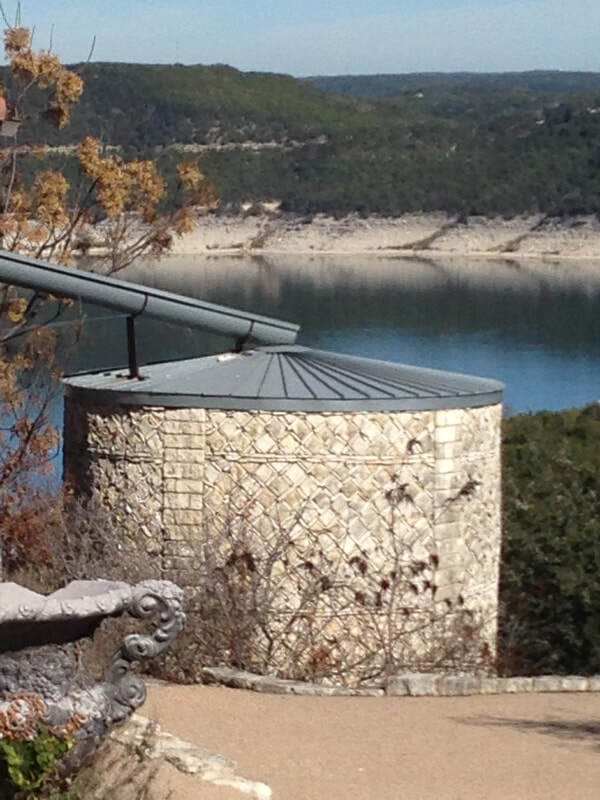 Rainwater harvesting is the collection of rainwater directly from the surface(s) it falls on. This water would otherwise have gone directly into the drainage system or been lost through evaporation and transpiration. Always look for opportunity to be a great stewart to our environment, and remember that the extra cost of the initial stone, brick, concrete, or veneered cistern is ofter offset by the timeless impact of the age of the systems own lifespan. A high volume of water is taken from the environment for human use. Demand for water is rising because the population is increasing, lifestyles are changing and the impacts of a changing climate are becoming more clear. We need to plan carefully for the future to ensure reliable water supplies are available for everyone whilst protecting the natural environment. Reducing the volume of mains water supplied means less water is taken from lakes, rivers and aquifers and more is left to benefit ecosystems and help sustain the water environment. 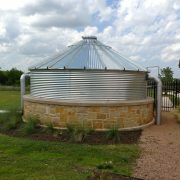 Rainwater harvesting is the collection of rainwater directly from the surface(s) it falls on. This water would otherwise have gone directly into the drainage system or been lost through evaporation and transpiration. 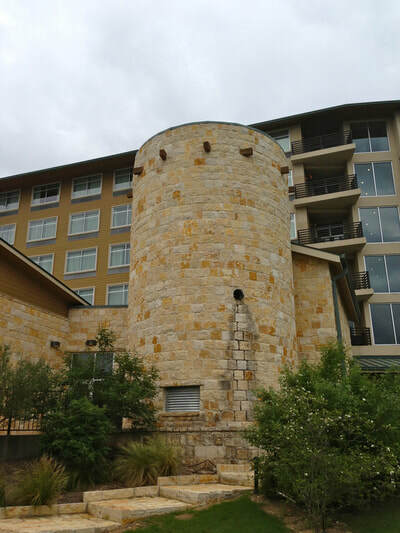 Always look for opportunity to be a great stewart to our environment, and remember that the extra cost of the initial stone, brick, concrete, or veneered cistern is ofter offset by the timeless impact of the age of the systems own lifespan. The architectural advantages of these systems is impressive, however, rainwater harvesting directly from the surface(s) it falls on and not allowing this valuable resource to add to stormwater collection systems is the key factor. This water would otherwise have gone directly into the drainage system or been lost through evaporation and transpiration. 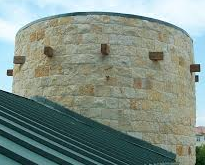 Always look for opportunity to be a great stewart to our environment, and remember that the extra cost of the initial stone, brick, concrete, or veneered cistern is ofter offset by the timeless impact of the age of the systems own lifespan.